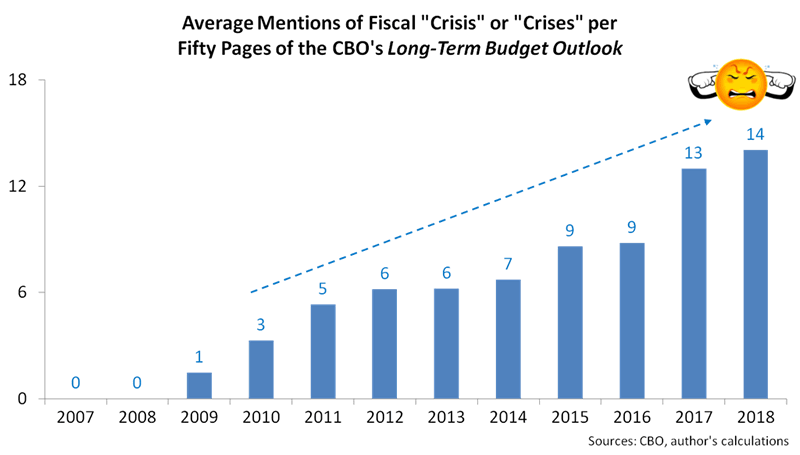 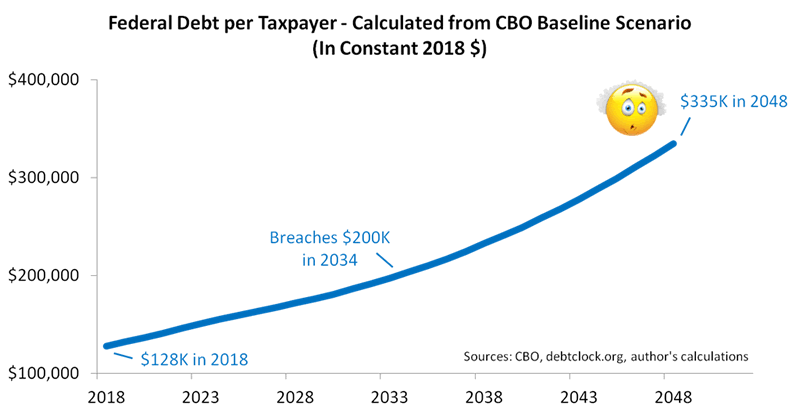 If we add intragovernmental debt to our alternative scenario to project “gross” debt, it shows debt per taxpayer breaching $200K twice as quickly—in 2023—at which time the debt-to-GDP ratio would be 120%. 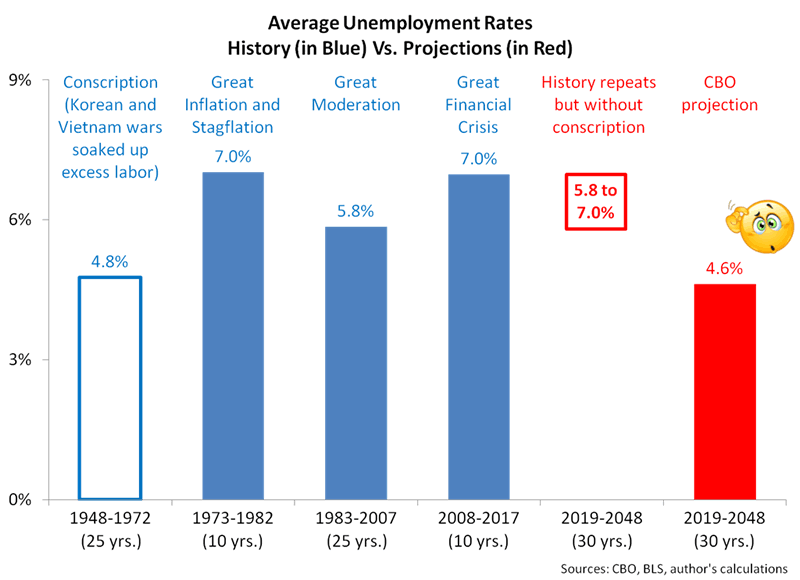 That figure ties into research we conducted a few years ago using hundreds of years of data maintained by Harvard’s Kenneth Rogoff and Carmen Reinhart, along with about twenty other data sources. 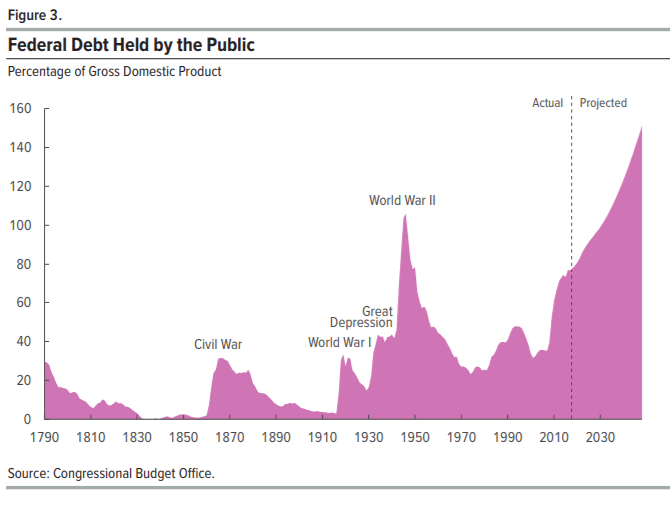 We found that no country has ever reduced its debt-to-GDP ratio from over 120% to under 90% without either 1) haircutting its creditors in a restructuring or outright default, 2) achieving a budget surplus over the debt reduction period, and not just a primary surplus but an honest to-goodness surplus of the type America has only seen twice in the last 57 years or 3) both.